The New York State Legislature voted Tuesday to ban the practice on minors, and Gov. 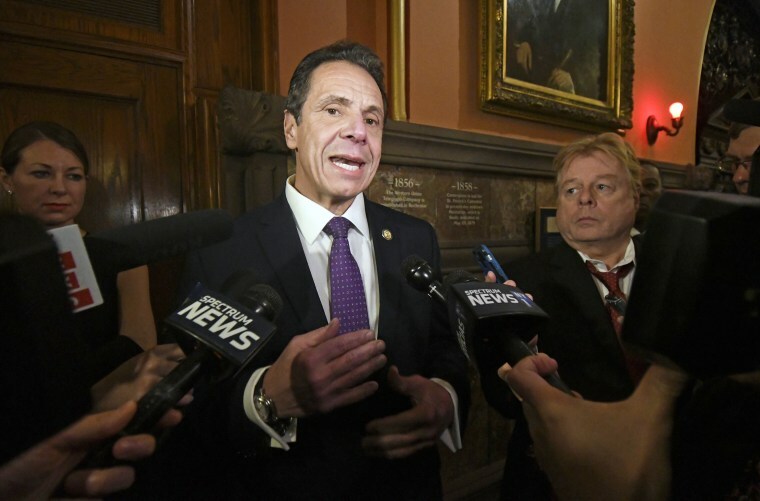 Andrew Cuomo is expected to sign the bill as soon as this week. The New York State Legislature voted Tuesday to ban so-called gay conversion therapy on minors, with Democratic Gov. Andrew Cuomo expected to sign the bill as soon as this week. The measure, which passed 57-4 in the Senate and 134 to 3 in the Assembly, will make New York the 15th state to ban the controversial practice, which is widely discredited by medical and mental health organizations. Bans on conversion therapy — which seeks to change one’s sexual orientation or gender identity — repeatedly have passed the Democrat-controlled Assembly, only to die in the Republican-dominated Senate. But the GOP ceded its majority in the midterm election, paving the way for today’s victory. “We have to consider the message we are sending to LGBT youth today,” Hoylman said Monday after the bill passed committee. “That we have your back and you are perfect just the way you are.”“The State of New York has a responsibility to stop licensed mental health professionals from causing irreparable damage to LGBT youth and their families,” Hoylman said when advocating for the ban in 2014. According to the American Academy of Pediatrics, conversion therapy “can provoke guilt and anxiety while having little or no potential for achieving changes in orientation.” Techniques used to attempt to change sexual orientation and gender identity have included inducing nausea and vomiting, providing electric shocks, psychotropic medication and hypnosis. And according to a 2009 report by the American Psychological Association, the treatment has been associated with depression, suicidal thoughts, substance abuse, high-risk sexual behaviors, homelessness and other issues. The Williams Institute at UCLA School of Law recently estimated that 20,000 LGBTQ youth between the ages of 13 and 17 will undergo conversion therapy by a licensed health care professional before they turn 18, and approximately 57,000 will be subjected to the treatment by a religious leader or spiritual adviser. In 2012, California became the first state to prohibit conversion therapy on minors, and since then more than a dozen other states, the District of Columbia and several localities across the U.S. have followed suit. A number of state legislatures are currently considering bans, including Texas, Minnesota and Indiana. The issue has also entered the multiplex, with two recent films recounting the struggles of young people subjected to conversion therapy: “The Miseducation of Cameron Post,” starring Chloë Grace Moretz, and “Boy Erased,” with Lucas Hedges, Nicole Kidman and Russell Crowe.